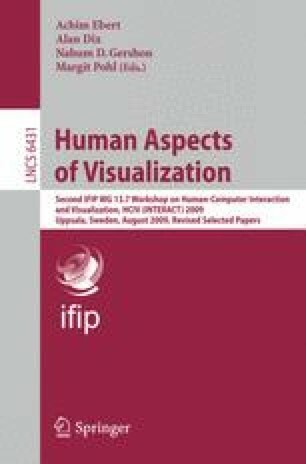 More and more average users of personal computers, standard software, and web browsers come into contact with (information) visualization techniques. Depending on the task they have to perform, such visualizations are used for communication purposes, to provide a better overview of personal data, for instance pictures or emails, or to provide information of everyday commodities. After a brief outline about properties and characteristics of workaday data and their users, we focus in this paper on the visualization of wine attributes. The decision to buy a specific bottle of wine is a complex process that incorporates many different aspects from own experiences and current desires to various aromas and flavors that the wine promises to keep. We have developed two different visual representations for wine related data, which we call wine fingerprints. Both approaches are able to represent the most used wine attributes in literature and practice and can guide the purchase decision process of customers. Pros and cons of our wine fingerprints are discussed and compared with related approaches.